Newton, IA -- June 21, 2003. 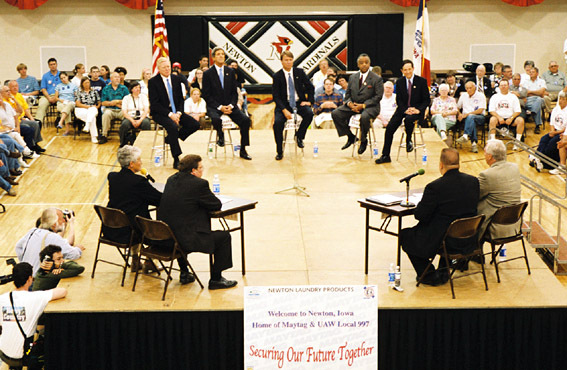 Democratic candidates to their presidential forum at Newton High School. Interview with Dennis Parrott, chair of the committee that organized the forum. -The scene outside. Supporters of Edwards, Gephardt, Kerry, and Kucinch do visibility. -Breakout rooms. 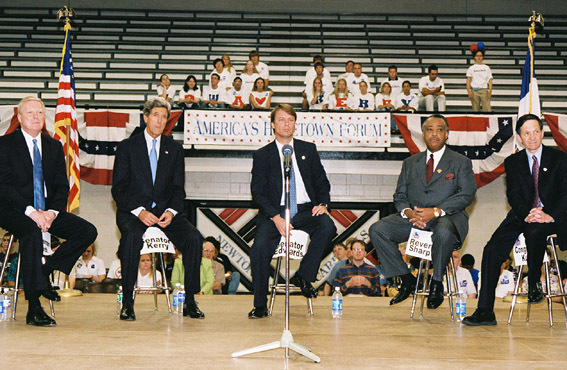 Dean, Edwards, Gephardt, Graham, Kerry (n/a), Kucinich, Lieberman, Sharpton, Other. -Steve Dailey, chair of Jasper County Democrats. About Jasper County Copyright © 2003 Eric M. Appleman/Democracy in Action.